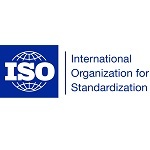 ISO 15926 is a standard for data modelling and interoperability using the Semantic Web (RDF+OWL+FOL). ISO 15926 also contains an upper ontology and a reference data ontology. It was originally made for the Oil and Gas industry, but it is set up generically so that it can be used for any type of information exchange and integration.